Solve It! Is △ABC congruent to △GHI? Problem 1 Got It? Complete the proof on the canvas. Problem 2 Got It? 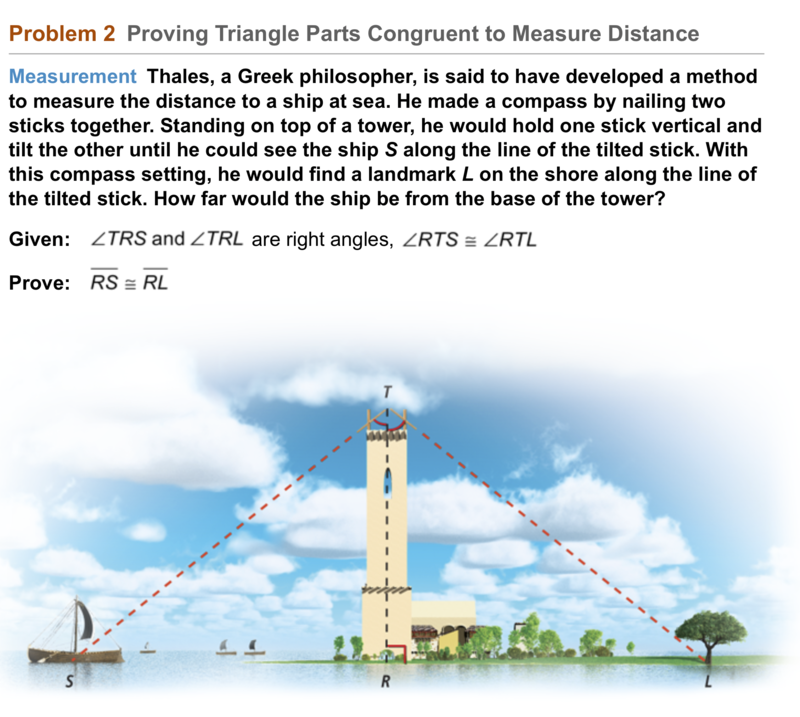 Reasoning: If the landmark were not at sea level, would the method in Problem 2 work? Explain. 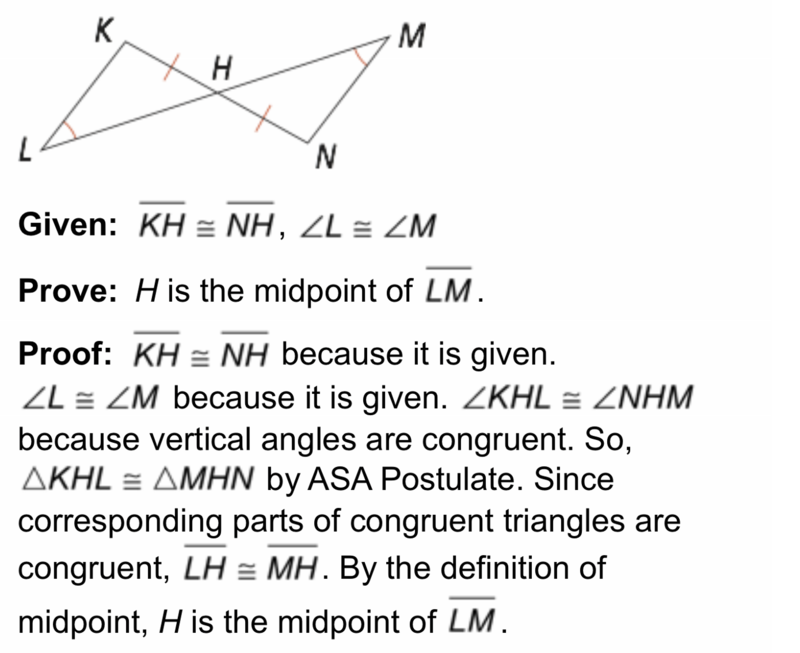 Reasoning: How does the fact that corresponding parts of congruent triangles are congruent relate to the definition of congruent triangles? Error Analysis: Find and correct the error(s) in the proof. 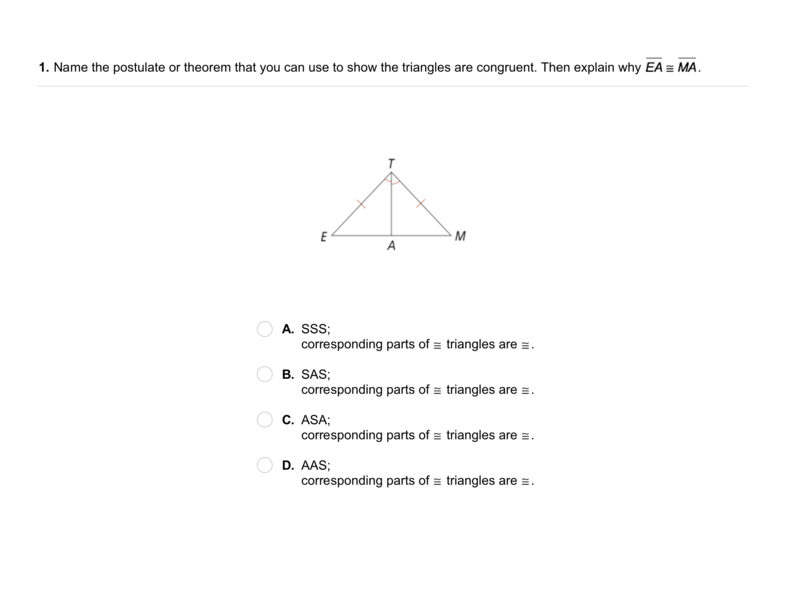 Review Lesson 4-3: Name the postulate or theorem you can use to prove the triangles congruent. Review Lesson 3-5: What is the side opposite ∠ABC? 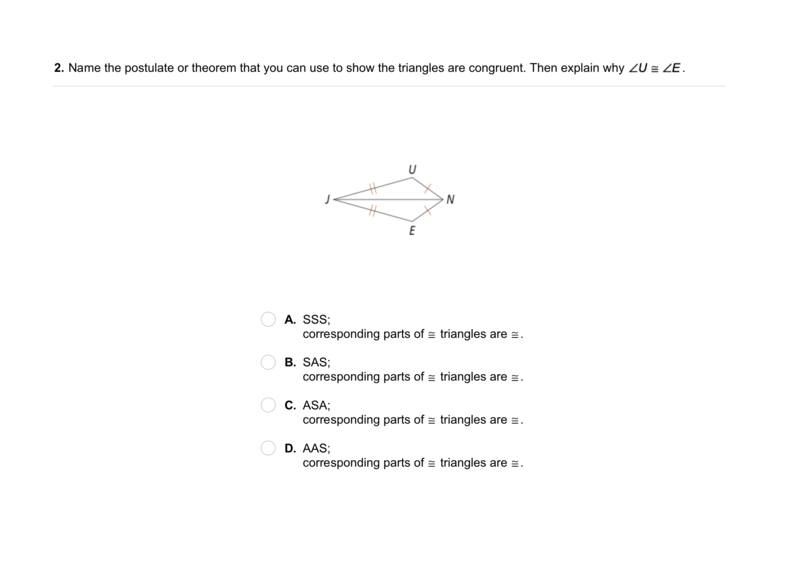 Review Lesson 3-5: What is the angle opposite side AB? Review Lesson 3-5: Find the value of x. Use Your Vocabulary: Complete each statement with proof or prove. In geometry, a __?__ uses definitions, postulates, and theorems to prove theorems. No one can __?__ how our universe started. He can __?__ when he bought the computer using his receipt.